or go to Web > Web Sites. 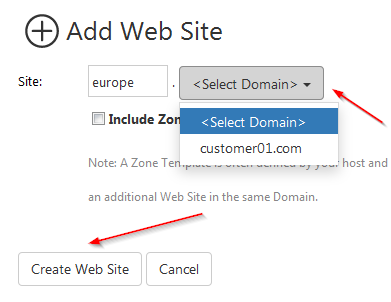 Type in the web site name, select domain from the drop-down list, and click Create Web Site. You can also check Include Zone Template . Done! Your new web site has been created. You now see the setting page. Check out how you can configure settings.